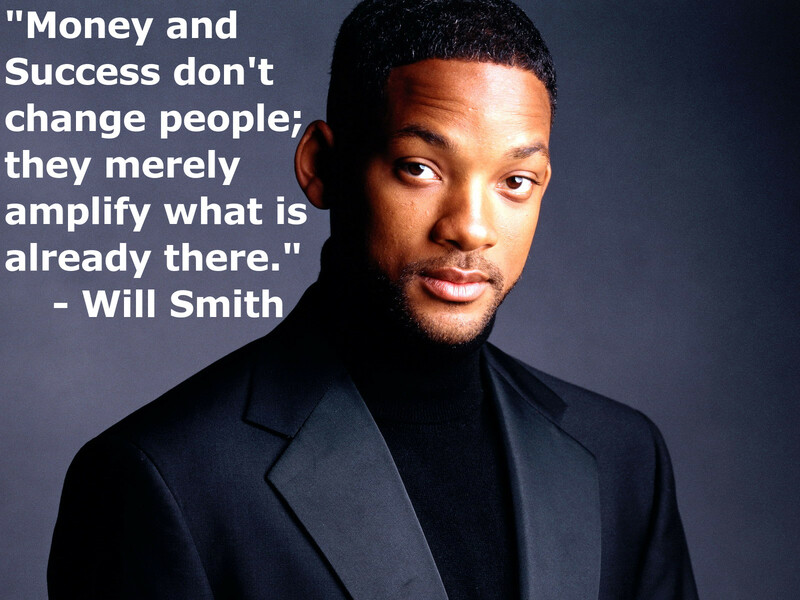 This is a remarkable and true quote by Will Smith. We often hear that money, fame, or success changes people but that saying is mainly because we often don't know too well the people around us. Many times we hold back on who we really are for fear of what others say and how that could affect our social interactions with people and even how our employers will deal with us. We also hold back on what we really want because we simply don't have the money or ability to do so. So this adds extra credence to this quote by Will Smith and furthermore, it shows that to understand how a person truly is deep down, sometimes when someone is given everything they could ever want, would there true character lie.